Are you looking to make the most of your workspace without having to sacrifice performance of a professional UV coater? We have your solution! The XtraCoat MINI is designed with the short run printer in mind. 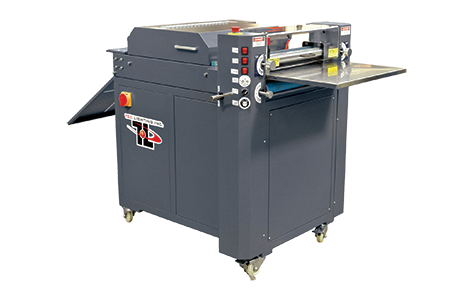 It offers a fantastic finish all while being the smallest footprint production UV coater available on the market. The XtraCoat MINI is small but incorporates all the features of larger units including a peristaltic fluid pump, IR Lamps for flow-out and adhesion and a stainless steel doctor blade to ensure the ability to run double-sided work. In three short minutes you can set-up the unit and begin producing stunning UV coating. The XtraCoat MINI is the answer for today’s short run printer.